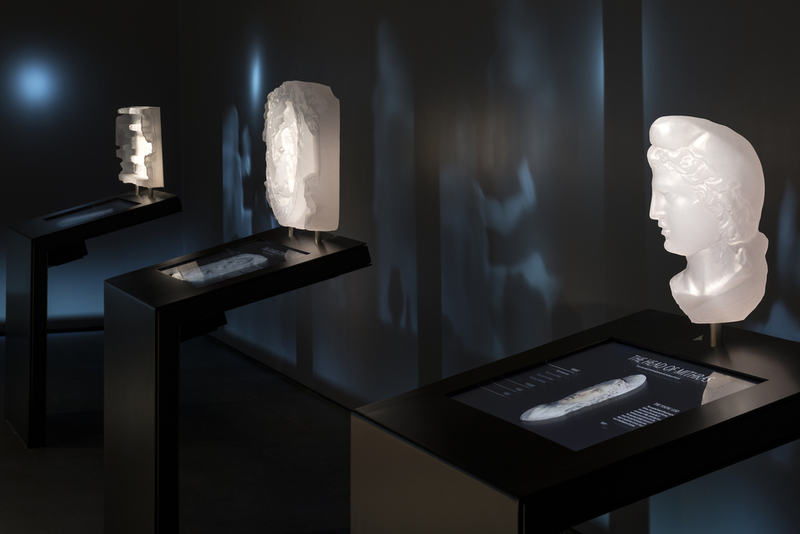 Travel back 1,800 years as the Roman Temple of Mithras is brought to life through innovative display technology at Bloomberg’s European headquarters in London’s financial district. 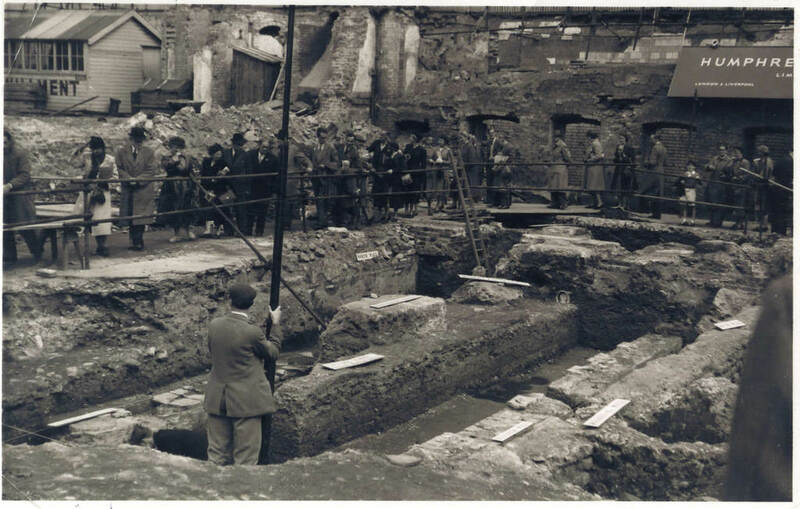 Considered one of the most exceptional and important archaeological discoveries of the 20th century in Britain, the Temple of Mithras first hit the headlines back in 1954, when a team of excavators discovered the Roman ruin under bomb rubble from buildings destroyed during the Blitz. Thousands queued to see the remnants of the temple built in 240–250 AD on the banks of the river Walbrook, where cult members would have worshipped the god Mithras during the Romans’ rule of Londinium. 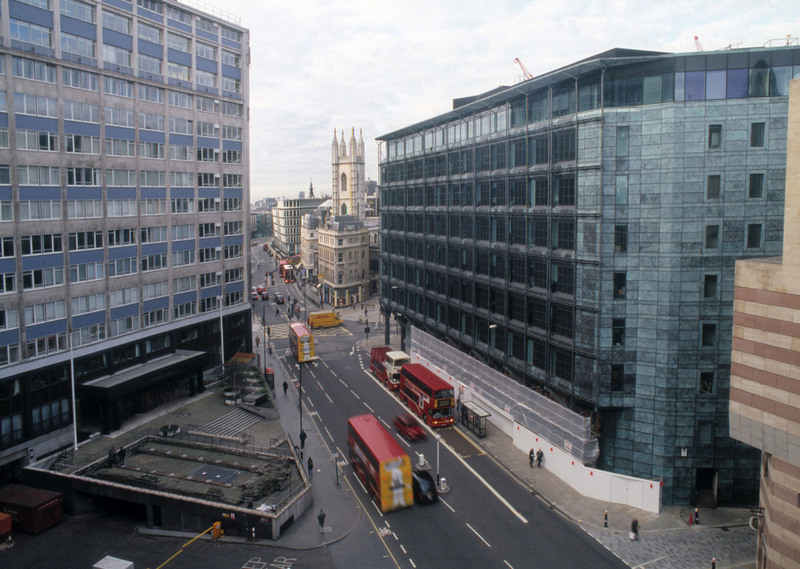 The temple was dismantled in 1962 to make way for construction and moved some 100 metres to Queen Victoria Street. Today it has been returned to its original location at Roman ground level, which is seven metres below modern London street level and housed below Bloomberg’s European headquarters. But this is no ordinary ancient attraction. Instead, you get to experience the temple in an extraordinary and immersive presentation that utilises audio recordings, lighting design and even haze. Not only does the London Mithraeum installation create a dramatic setting, giving us a better sense of what the temple would have been like, but it brings an important piece of London history to life in a very unique way. The 18-metre-long temple was faithfully restored to how it was found over 50 years ago. 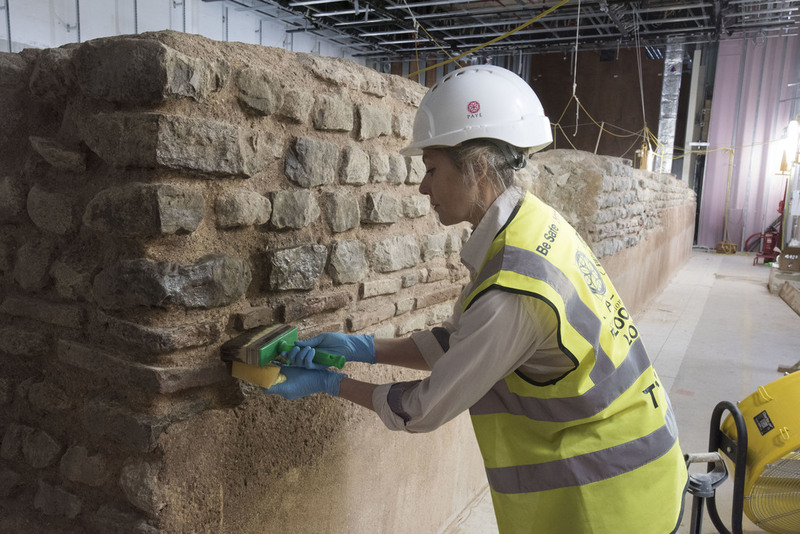 The extensive 18-month reconstruction project, run by a team of leading experts in archaeology, stone masonry and engineering, even included creating accurate renders of Roman mortar. A team of archaeologists from Museum of London Archaeology (MOLA) also led an extensive excavation of the Bloomberg development ahead of construction as the site was believed to be ‘of great archaeological potential’ and, well, they weren’t wrong. 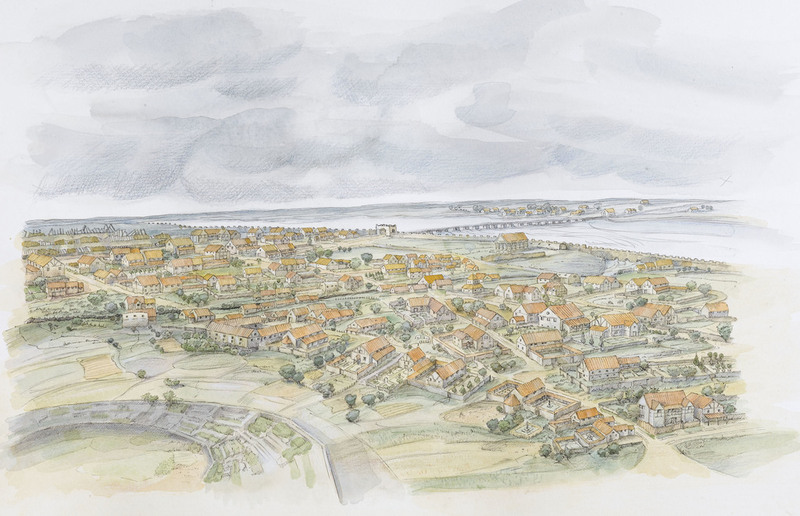 More than 14,000 artefacts were discovered, giving us remarkable insight into life in Londinium, from the shoes worn by children to the industries of the area, including the local bakery and the trading commerce. 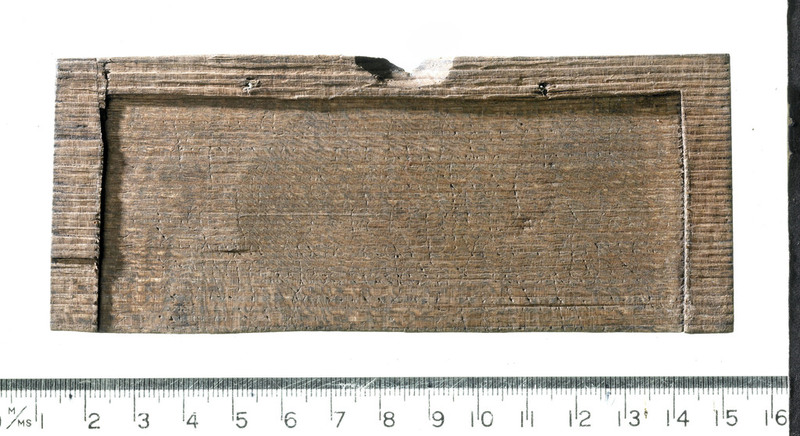 A collection of 600 of those artefacts is displayed in the Bloomberg SPACE before you descend to the London Mithraeum, including the earliest hand-written document in Britain to reference London and another writing tablet that is the oldest record of a commercial transaction between two freedmen (see below). 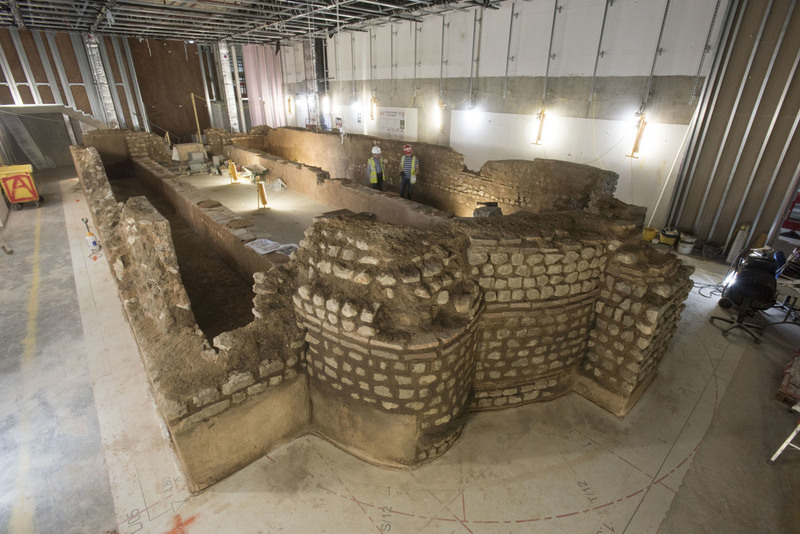 “London is a Roman city yet there are few traces of its distant past that people can experience first-hand,” said lead archaeological consultant Sophie Jackson from MOLA. 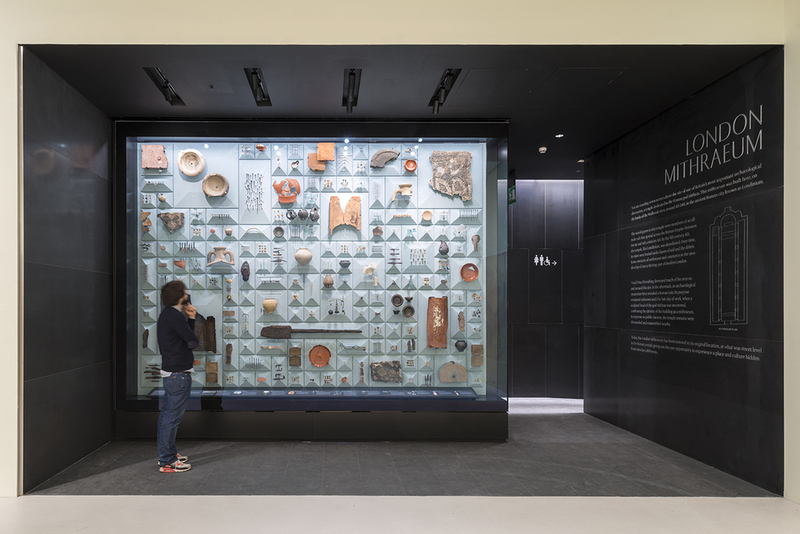 The entrance to London Mithraeum is through Bloomberg SPACE, which will showcase a programme of contemporary art that takes into context this unique historical site. Interactive displays on the mezzanine will provide a history of the temple and the cult of Mithras, including resin casts of key sculptures, before you enter into the subterranean reconstruction of the temple. “London has a long history as a crossroads for culture and business, and we are building on that tradition,” said Michael Bloomberg, Founder of Bloomberg LP. London Mithraeum, 12 Walbrook, London, EC4N 8AA, is open from November 14, 2017. Tuesday–Saturday 10am–6pm; Sunday and Bank Holidays noon–5pm; first Thursdays of the month 10am–8pm. Free but booking is essential.